Leaving Antibes by air, I calmly light another cigarette in an Air France jet, and let another bright and glorious day alleviate a constant gnawing anxiety I have about landing in Africa. Walter Abish, Alphabetical Africa, 1974. Brian Eno, in Bowie’s “Berlin” records, served as something like “fifth business,” a phrase that the novelist Robertson Davies coined to describe a stage role that was “neither hero nor Heroine, Confidante nor Villain, but which [was] none the less essential to bring about the Recognition or the denouement.” On Low‘s first side, for instance, Eno was a provoker and random accompanist, throwing in a whirring synth line, suggesting a fractured melody or left-field production choice. Only on the instrumental sides of Low and “Heroes” was Eno a direct collaborator with Bowie, writing vocal and melody lines, designing arrangements. Lodger, which would be Eno’s last work with Bowie for nearly two decades, found Eno in a more confrontational mood. There were signs of strain: Bowie, as usual, was tiring of a collaborator while Eno also recognized that the partnership had run its course. He had the Talking Heads to experiment with now, while Before and After Science had marked the end of his interest in “standard” rock songs. Eno tellingly didn’t show up for Lodger‘s overdub/vocal sessions, where he typically would have done much of his work. Still, with Bowie, Eno staked a great deal in his last throw. He tried to undermine what had been the basis of Bowie’s album-making process since Young Americans: Bowie and his band first jamming in the studio and getting basic rhythm tracks down on tape, with Bowie giving his musicians great leeway in coming up with riffs, grooves, basslines. Eno wanted to shake this up. Before the jams began, he had musicians draw Oblique Strategies cards (one led to players swapping roles on “Boys Keep Swinging”); he wrote eight of his “favorite” chords on a chalkboard, then had everyone play whatever chord he indicated with a pointer. Bowie’s band spent nearly a day on a random-chord jam session that yielded nothing of use. While Bowie supported what he later called Eno’s “art pranks,” he freely admitted that they were alienating. It didn’t help that in Mountain Studios the control room was on a different floor; Bowie, Eno and Tony Visconti could monitor the musicians via closed-circuit TV cameras, but the musicians couldn’t see them. It made the likes of Carlos Alomar feel like lab subjects. “African Night Flight,” an odd song lacking any type of chord structure and with a run of sound effects and chants in place of hooks, is one of Lodger‘s most Eno-influenced tracks. It seems like a test run for Eno’s work on the Talking Heads’ Remain In Light, and his and David Byrne’s My Life in the Bush of Ghosts. For “Night Flight,” Eno provided what the LP sleeve termed “cricket menace” (“little crickety sounds that Brian produced from a combination of my drum machine and his ‘briefcase’ synth,” Bowie said in 2001). A John Cage-inspired prepared piano, with Eno placing scissors and other metal objects on and between the piano strings, tolls through the track. “Night Flight” isn’t as much a song as it is a few strands twined together. There’s a 12-bar “verse” of sorts, where Bowie raps out a word-choked lyric, a four-bar bridge (“his burning eye will see me through”) and two refrains: a Western chant, “seemed like another day I could fly/into the eye of God on high” and an “African” one, “asanti habari habari/asanti nabana nabana” (this seems to be a melange of African tongues (“habari” is a “greeting between peers” in Kiswahili) and nonsense words (“nabana”)). The track’s rhythm base is a brutalized version of the Dale Hawkins ’50s hit “Suzy Q” played backwards. The lyric’s primary inspiration came from two trips Bowie had made to Kenya in late 1978 and early 1979. In Mombasa Bowie had found a band of German pilots drinking in the bars. * These expatriates, some of whom were WWII-era Luftwaffe veterans, fascinated him, as they were aliens in (to Bowie) an alien environment, their lives an extended present tense, their histories unknown, as were their purposes. They would fly their Cessnas out into the bush for various reasons—smuggling contraband, arming rebels, killing rebels—and would get drunk in the meantime. “Night Flight” seems in part from their perspective, with memories of the West mingling with scattershot “African” imagery. Whether “African Night Flight” works depends on your taste for experimentation, as the track seems intended to irritate as much as anything. I’ve been fascinated by it as often as I’ve jumped the needle over it. One of the last avant-garde Bowie/Eno collaborations, “Night Flight” can’t escape feeling like an advanced compositional exercise undertaken by two gifted students; it’s an “African” song that owes more to experimental novels like Walter Abish’s Alphabetical Africa** than it does to actual Kenyan music. Recorded September 1978 in Mountain Studios, Montreux, Switzerland, and March 1979 at Record Plant Studios, NYC. Never performed live. * German pilots remain in East Africa today. A group of flyers based in Mombasa flew missions into Somalia during the war in 1992 (“The young, blond lieutenant of classic German looks, and his 45 fellow airmen of Air Transport Wing 63, based in Hohn, Germany, also have brought along a set of porcelain dinnerware, stainless steel coolers to keep their fruit juices well chilled and cases of German beer.”), while in 2002 German pilots were running al Qaeda surveillance operations out of Mombasa. ** Alphabetical Africa consists of 52 chapters: the first and last are “A,” the second and 51st are “B,” and so on. Abish‘s parameters are that each chapter can only contain words that either begin with the chapter title letter or with letters that have come before it. So the novel begins: Ages ago, Alex, Allen and Alva arrived at Antibes and Alva, allowing all, allowing anyone, against Alex’s admonition, against Allen’s angry assertion: another African amusement. At the book’s midpoint, the two “Z” chapters, the entire English language is available. After that, chapter by chapter, the letters disappear in reverse order, with language and narrative disintegrating in turn. 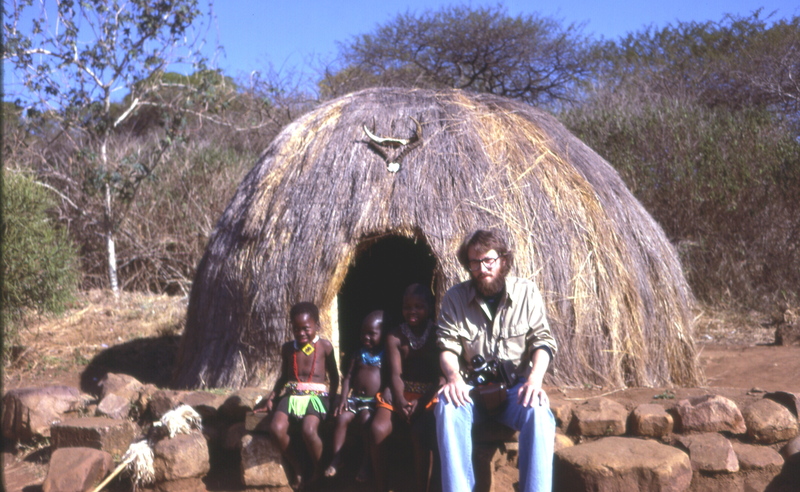 Top: John Atherton, “Children, Tourist and a Traditional-Style House at a Reconstructed Zulu Village,” South Africa, 1979. This entry was posted on Monday, June 13th, 2011 at 9:20 am and is filed under Lodger: 1979. You can follow any responses to this entry through the RSS 2.0 feed. Both comments and pings are currently closed. Should have been left off I’m humble opinion , would have made a good b side. It is the one I do skip often now as it just sounds awful. The vocal is ok but is the only redeeming feature. Lovely piece of musical insanity, definitely one of the highlights of the album. I think it’s important too to point out that there’s a double meaning in the title, both an actual Night Flight, and a Walker Brothers shout-out. Both Eno and Bowie were huuge fans of the “Night Flights” album that came out in ’78, and while maybe not so much on Lodger, the musical influence of the first four tracks (written by Scott Walker) followed Bowie for the rest of his career. yes, i’d meant to mention that! A bit of tracks like “Shut Out” or “Fat Mama Kick” can be heard in Lodger, maybe? It’s very much a whos-yr-influence game by this point: “Nite Flights” is Walker responding to Low/”Heroes,” influencing DB in return. Which then leads to the real weird-out of Bowie and Walker’s 90s: 1.Outside and Tilt (hearing Bowie’s “The Motel” after hearing Walker’s “The Electrician” is pretty ear-opening)—though thinking about the times they were recorded makes this more seem like a bizarre coincidence of two old-guard musicians letting their freaky side fully out than a bout of back and forth inspiration. goes back in time too—“Silly boy blue” remakes “the sun ain’t gonna shine anymore” as a Buddhist anthem, and DB gets to Jacques Brel via Walker, in part. There’ll be a lot more on this when I get the ’60s stuff revised for the book. Walkers to blame then….will have top get nite flites from a friend and give it a listen. I used to like the track in my youth but as I said in the previous thread I played it for my sons and they laughed at it and skipped it …theres me looking silly telling em Bowie is the man. Its an awful track they are correct and Eno did much better stuff with the other DB. The guitar work is nice buts so out there its dated badly. It doesn’t sound dated to me. I think it’s a great experimental track, with Bowie still ahead of the game with its world music undertones. It’s a bit mystic, a bit menacing too. Some fantastic lyrics as well. I hadn’t played Lodger for years until the other day. I’ve now played it through two or three times and I do think it’s a wonderfully inventive album. I don’t know if I’d put it in the absolute top rank – it’s not a Station To Station or a Low – but it comes close enough for me. Great album cover as well, one of his best. By the way I don’t hear much or any of Walker’s Nite Flights on this song or album. Perhaps there’s a reference de Saint-Exupery’s Night Flight though, given the inspiration of the song being veteran pilots. I think there’s a little of the Bowie humor coming through in these two Lodger tracks, as well. “Sometimes I feel, the need to move on …” then he deadpans: “so I pack a bag, and move on.” rim shot. And this track, so goofy with the sound effects, the crazy voices, Bowie trying to outdo the FedEx ad man in his delivery. Then the African chanting. Like he’s throwing a whole bunch of different song parts at you at once. Reminds me of the Tin Machine II track “A Big Hurt” in its frantic energy. Definitely not a good song to use as an introduction to Bowie. “Hey ho he wished me well.” Should have been a single. You think I’m kidding? well, kind of. I’ve never had a problem with this song, it’s experimental joy all the way. Is Bowie rapping? I’ve been blasting the cd in my car and listening to the vinyl at home and beneath some of annoying sound affects and distorting textures there is an excellent piece of work , a single of african night flight would have been commercial suicide after the success of boys keep swinging. The album struggled to follow this hit single ,dj is a good track but again there’s a better track in there somewhere. The cover is very odd it has a beaten looking dave and pics of dead bodies inside the laminated gatefold with a lyric sheet with differing pics of natives overlaid with a beaten dave. Not a sign of any titles only on the lyric sheet …what’s it all about? If daves on his hols it a grim world. Just a pet theory. Someone recently mentioned that Lodger was the first album lacking in focus and coherence. It was also the first one – I think – to depart from the portrait/profile cover. There’s something about the lack of a focal point on the cover that is reflected in the record itself; or should that be the other way around? It’s definitely his weirdest album cover. The cover perhaps reflects the music. Odd that I have never found this track “alienating.” Again, I think of “exuberance” and a sense of humor when I hear this. And the faux-African chant is quite an earworm. This is the sort of thing I clean the house to. I think it’s pretty obvious that Lodger as a whole is kind of a release of tension for Bowie after the last few years. Obviously Bowie doesn’t actually intend for this to be seen as “world music”- it’s his joke on the format, which, to be honest, is a bit pretentious when co-opted by WASPs with synthesizers (much as I adore David Byrne). I really love this track. I think it signposts not just a parallel Africa (for some reason I always think of St Exupery disappearing on his mail flight when I listen to it), but a parallel David Bowie, an experimental one who startles and bewilders. If there are prepared pianos (Sylvian) and travelogues (Human League, Clock DVA, Talking Heads, 23 Skidoo) in the avant pop of the 1980s, they start here, with this concocted “bush of ghosts” populated with imaginary rhino. An Africa concocted in Switzerland might prefigure a WOMAD festival held in deepest England; when artificiality and plunder are the values fluttering above your pirate ship, anything goes. This is L’Afrique Fantôme of Michel Leiris made into sound, and its electronic parrots still shoot out of the speakers today, fresh and flighty, impatient to break out of their briefcase synth (I like to imagine it’s an EMS Synthi AKS with a blue membrane keyboard). Correction about the dates: Bowie’s trips to Africa were made in late 1977 and early 1978. Mr. Bowie’s vocals got me thinking about Noël Coward’s patter songs, which have to be part of his musical DNA. The ‘unhinged patter’ reminds re. of Please Mr. Gravedigger- another song in the ‘cracking/weird’ Bowie quadrant. I think this track fits perfectly in the affectless, fragmented world of this album. cheers. Hopefully all know Raymond Roussel’s IMPRESSIONS OF AFRICA, doubtless an inspiration to Abish [ntm Duchamp, Picasso, Dali, Ashbery, et al]… RR was the grandaddy of novels [of rampant imagination] constrained by quirky selfimposed rules. Walter with an eyepatch came into a trendy postmod bar I worked at in east village, Goldbar– just him & his wife and me– soon after a piece in the New Yorker profiled it circa 1992.